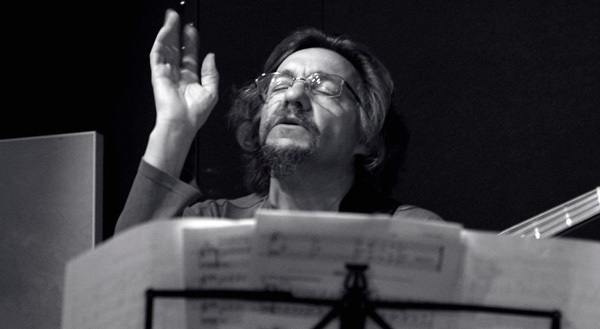 In South Africa Mombelli has been performing the music to much critical acclaim with the South African musicians Mbuso Khoza, Kyle Shepherd and Kesivan Naidoo. This music moves between free chamber improvised South African music, acoustic and electronic, and melodies and chants, rooted in the sounds of Africa. ‘Stories’ is a really personal record for Mombelli: an opportunity to pay respect to the people that matter in his life – his wife, his children and his musical teachers. The final product reaffirms that Mombelli, now in his early 50s, is still very much in rude creative health. He is still pushing the limits of sound and writing challenging beautiful work. Born in 1960 South African, self-taught, Carlo has recorded and performed at many international festivals, including the Rome Villa Celimontana Jazz Festival, the Stockholm Jazz Festival, the German Moers and the ‘Leipziger Jazztage’ festivals , Banlieues Bleues festival in Paris, the ‘On the edge of Wrong’ festival in Norway, with amongst others, Egberto Gismonti, Lee Konitz, Mick Goodrick, Charlie Mariano, and Samuel Bläser. Carlo also contributed music and played on the 1989 tribute for Jaco Pastorius, ‘Basstorius’, that also features the bassists Mathew Garrison and Carles Benavent . Back home he can be heard as a bassist on many recordings with amongst others, Zim Ngqawana, Marcus Wyatt, Simphiwe Dana, Sibongile Khumalo and Miriam Makeba. Besides several ballets that have been choreographed to his music, and his many composition commissions that include commissions for the ‘Stockholm Saxophone Quartet’ and his recent 2013 piece for the Grammy award-winning New York String Quartet ‘Ethel’, he has been nominated three times for a SAMA (South African Music Awards) for his recordings. He has given workshops around the world from the Munich Richard Strauss Conservatory in Germany to the ‘Berklee College of Music’ in Boston USA, and the Jazz Music Academy in Basel, Switzerland. Carlo’s bass book is published internationally by Hal Leonard Publishing. He currently teaches at Wits University, Johannesburg, where he received his doctorate in composition in 2009. Mbuso Khoza, a vocalist and songwriter with a rich and unique sound, has come a long way since arriving in Johannesburg. Learning his music early as a herdsman for his father’s cattle at the age of five in the KwaZulu-Natal mountains, using Zulu chants to call and direct them, he also learnt the spiritual ancestral music and listened to the songs of the Zionists at night. His first home in the big city were the streets and alleyways of Johannesburg. Job-hunting at recording studios, he finally built up a reputation for himself as a top back-up vocalist and songwriter and developed his sound by opening himself up to different types of musical influences. He lists Salief Keita and Angelique Kidjo as some of the artists who have influenced his sound. His vocal skills have seen Khoza working as a backing vocalist for some of South Africa’s most sought after musicians, including Thandiswa Mazwai, Sibongile Khumalo and the iconic jazz pianist Themba Mkhize. Mkhize also produced Mbuso’s debut album Zilindile (2012) which has been making waves in the music industry since winning a Metro FM award. Shepherd regularly performs as a solo pianist, while also leading his trio with Shane Cooper (double bass) and Jonno Sweetman (drums). He has released three albums to date, which has earned him South African Music Award nominations for all three. Shepherd has performed with many great South African musicians, including the likes of the Late Zim Ngqawana, Louis Moholo-Moholo, the Late Robbie Jansen, Errol Dyers, Hilton Schilder and Mark Fransman, as well as the internationals Saadet Türköz (Switzerland), Marc Stucki (Switzerland), Seigo Matsunaga (Japan), Sebastiaan Kaptein (Holland) and Ole Hamre (Norway). He has performed all over the world including appearances at The Bird’s Eye Jazz Club and Jazzwerkstatt Festival Bern (Switzerland), Der Sendesaal (Germany), Shikiori (Japan), The Aarhus Jazz Festival (Denmark), The Cape Town International Jazz Festival (South Africa), the Tianjin International Jazz Festival (China) and L´Onde Theatre (France). In 2013 he performed the world premiere of ‘Xamisa‘, a compositional work he was commissioned to write by Festival d’Automne à Paris, at the Théâtre des Bouffes du Nord, Paris, France in September 2013. Kesivan Naidoo is regarded as one of South Africa’s most exciting and creative drummers. As he takes his seat behind the skins, Kesivan Naidoo is transformed into a musical force of nature. One can literally hear in his playing the silence and whisper of the wind, and then in the next instance the roar of a thunderstorm. Since he started playing at the age of 11, the East London-born drummer has scooped one award after the other, and became the youngest-ever recipient of the National Endowment for the Arts’ overseas scholarship (sponsored by SAMRO). He used the prize to travel to India where he studied under India’s percussion guru Professor Sanjoy Bandopadhyay at Bharati University in Calcutta. In 2009, he won the Standard Bank Young Artist Award in the jazz category and has since performed here and abroad with cutting-edge musicians such as Danilo Perez and the Indo-fusion group Babu. Later this year Kesivan takes his band ‘Kesivan and the Lights’ to New York where he has been invited to give a performance at the prestigious Carnegie hall.